Don’t let Stockholm’s reputation for a quiet nightlife fool you; this city houses some spectacular bars that put most of London to shame. But before we jump to that, let’s talk about Stockholm’s geography for a second. Much like London, Stockholm is divided into a North and South by the river, but unlike London, the difference between the two is much, much more obvious. That and the spotting of inhabited islands in the water. The North coast is far more modernised setting, devoted to brand stores and hotels; the South a bohemian zone with nightlife and burlesque bars, not to mention vintage markets. The islands tend to be more public tourist sector – by which I mean Old Town is dominated by the Royal Palace and Stockholm Cathedral, surrounded by the tourist stores selling Viking paraphernalia and souvenirs; whereas the Djurgården Island houses massive parks and museums. When not bargaining for deals in the South, the North and the Islands host some amazing spots for food and drink. Cafes in Stockholm without a doubt come with some of the best fruit pies, served with a healthy drizzle (read: flood) of hot vanilla sauce. What you want to check out is Kaffekoppen in Old Town, a basement spot deep in a crypt for warmth, moments away from the bustling streets in front of the Palace and Cathedral. Service is slow, but the pie, cinnamon bun, and mulled wine are worth it. Better still is the North’s Sturekatten, a cat-themed café that is essentially your granny’s-living-room meets hotel-buffet, and all awesome. 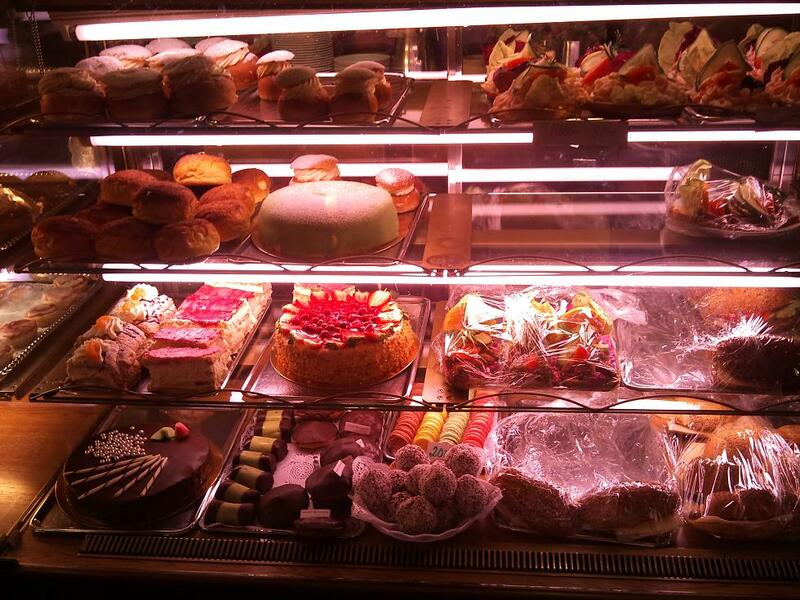 Before grabbing a seat, queue to pay for the dessert selection ranging from Swedish specials like semi-sweet saffron buns and cream cakes. Sturekatten is a must when visiting the city, a great rest-stop from the brand street 2 minutes away. 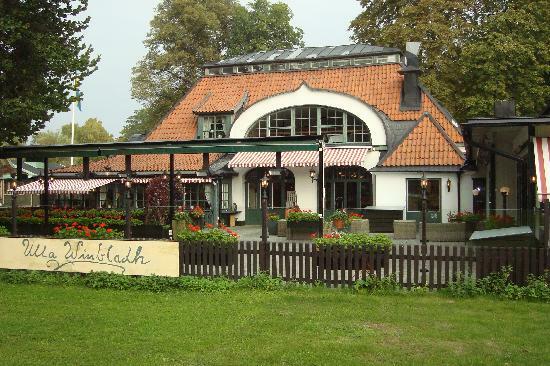 Impeccable service and traditional Scandinavian food can be found in Djurgården’s restaurant, the Ulla Winbladh. Not particularly easy to find, or get to, this little cottage is well worth the trek. Between the incredible gravad lax and the elk stew, there is next to nothing to complain about here. Sober, quiet, perfect for a relaxed dinner. Honourable mention: the Marie Laveau in the South – Lousiana meets Stockholm (but with cocktails you want to avoid). Stockholm doesn’t have a huge cocktail culture, but there are some great bars to be checked out. 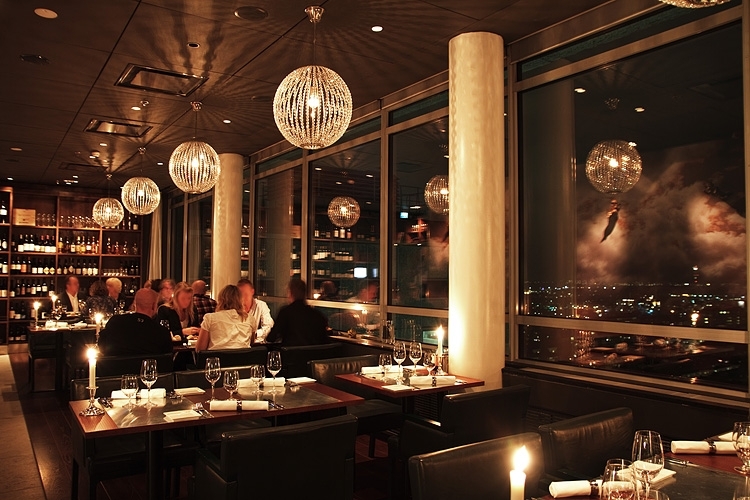 The South houses the wonderful high-rise bar, Och Himlen Därtill, which besides giving you a great view of the city, perfectly encapsulates Stockholm’s nightlife. Ordered, relaxed, and full with a massive mix of people from various walks and backgrounds. Himlen offers a short, but varied cocktail list, like the twist on a Whiskey Sour: The Elk’s Own, for a warming evening drink. Or the Ginger Fusion for a spry, spiced drink. 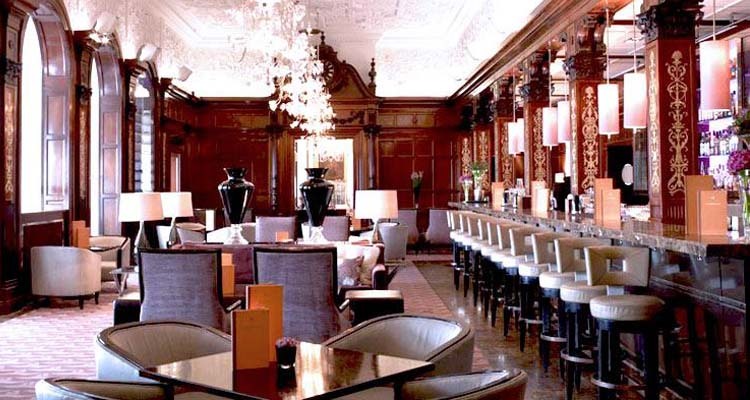 To splurge a bit more, make your way to the acclaimed Grand Hotel’s Cadier Bar. If I was reviewing this place like I normally would, it’d be a *****, *****, *****. Incredible service, spectacular venue, and what a cocktail list! Lengthy, with its share of innovative drinks – a Grand Manhattan that was difficult to rival, and a Louisiana Snake Bite that does London’s recent trend of chilli drinks and puts it to shame – fantastic. Even better when you suddenly find yourself amidst a group of dignitaries in ballgowns and military sashes – the Cadier is the place to mingle, see and be seen – with drinks at about 14 pounds each. Honourable mention: Bröderna Olssons Garlic & Shots, cousin of Soho’s G&S for shots and metal on the speakers. Avoid: The impressive-looking Berns Hotel cocktail bar gets an awful lot of attention in Stockholm, but turns out to be rather disappointing. Save your kronor. Stockholm makes an excellent weekend to splurge on food, though sometimes a good cocktail can be difficult to find, so here is a handy little Hoodooist map to find your way to the nearest Swedish drinking den! This entry was posted in Bars & Cocktails, Gastronomy, International and tagged Guide, Stockholm, Tourism. ← The Hoodooist’s Guide to: Greenwich.